If you've read my post where I create three, different Valentine's date looks then you'll know I've officially partnered up with About Face PH (formerly known as Purple Tags). Aside from the products used in that post, I got more to try out for myself! A couple of those are the Proud Mary Touch and Beauty BB Cream and About Face's very own Tulip Blending Sponge. Since I tend to use both products together, I thought that instead of reviewing each one individually, I'd review them together and tell you how I personally use them! First up is the Tulip Blending Sponge (Php449.00) I know. It looks a little strange, doesn't it? Even if I knew this was a sponge, I was still a little perplexed as to how to use it the first time I saw it. About Face says, "Take the blender to the next level! The tulip shape of this sponge helps you get to the hard to reach areas around your face!" Normally with sponges I just stick to a patting or 'bouncing' method when using them to blend out my base makeup. That technique, I found, is also what works best for this! I mean, it is still a sponge after all. In fact, it performs similarly to my trusted, Real Techniques Miracle Complexion Sponge, except this is a teensy bit more affordable. To use this, I dot my base makeup of choice where needed and lightly 'bounce' the sponge all over to blend everything and onto my skin. Tip: Patting or bouncing the sponge makes you take full advantage of the coverage offered by your BB cream or foundation. The Tulip Blending Sponge is made of latex, and unlike the RT sponge which is very porous, it feels smoother and softer. You can choose to work with it wet or dry, though I always prefer the former so that it doesn't soak up any of my liquid makeup. Either way, it won't expand in size like traditional sponges do. The curved 'petals' make reaching the sides of the nose, corners of the mouth, and even under the eyes easier. The sides of my nose are pretty deep, and the topmost 'petals' effortlessly reach in there to make sure not an inch of my face is left uncovered. I'll admit, I'm not used to working with sponges that have a handle, but I got used to that pretty quickly. 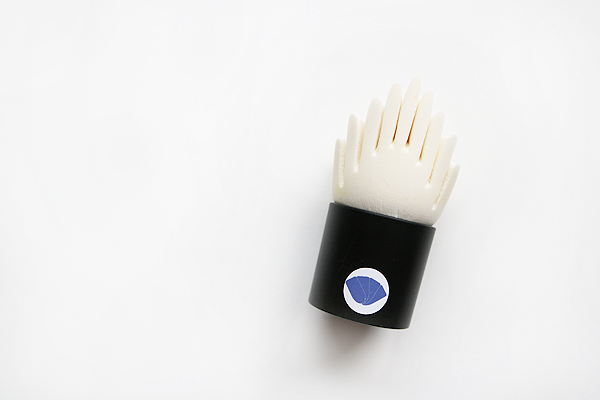 If you're very particular about keeping your fingers or tools clean and sanitary when applying your makeup, or when applying makeup on someone else in the case of MUAs, you'll love this sponge. Lastly, as long as you've got a good sponge cleaner or soap at hand, cleaning the Tulip Blending Sponge won't be difficult either. You can pop it out of its plastic base handle, clean as you usually do, then pop it back in once it's dry. I haven't reviewed a BB cream in a while, so I'm glad I finally get to do it again. Proud Mary's Touch and Beauty BB cream performs as a skin brightener, sunscreen, and moisturizer all in one. About Face describes it as a "One-step wonder for instant skin perfection. Triple action formula conceals imperfections with lightweight coverage and moisturizes with enriched essence." I usually don't go for BB creams with only light coverage, but because I mostly used this at a time when the daily heat and humidity here was relentless, I was more than willing to give it a try! The less 'weighty' my makeup was, the better. The BB cream comes in two shades: No. 21 and No. 23. I received mine in No. 23 and I'm glad I did because in comparison, it has more of a yellow undertone than the first which I look for in almost all my base makeup products. The fact that this BB cream comes in a squeeze tube as well as has an accompanying pump makes dispensing the product easy and controllable, so bonus points for the packaging. The overall, metallic finish is a nice touch too! As you'd expect from a lightweight base, it has a thinner and lighter consistency but it's not exactly watery either so blending it properly out takes little to no effort. It sets on skin fairly quickly too so you can move onto applying powder within a few minutes should you choose to do so. You can see for yourself that it has a bit of that yellow undertone I like. My skin has been pretty temperamental these days. I'd suffer from minor breakouts for one week, then my skin would behave the next. My skin here is more on the calm side, thankfully. 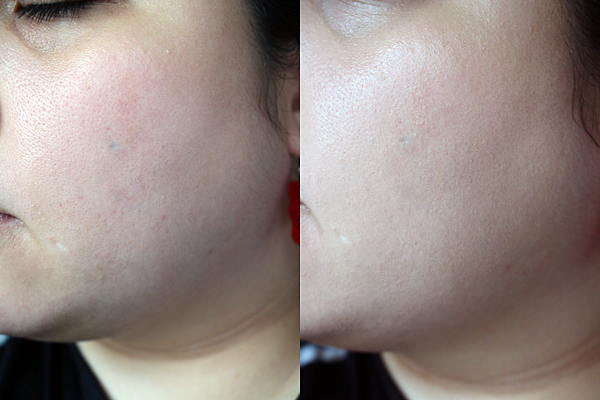 Without makeup (left), my skin tone is uneven, I have some redness, large pores, and minor blemishes here and there. After using the Proud Mary Touch and Beauty BB cream, blended out with the Tulip Blending Sponge, the results are pretty clear. Overall, I have more even toned and brighter looking skin, most of my blemishes and redness has been covered up or minimized, and my skin has a slightly more dewy finish to it. Honestly, that's what I would expect from almost any BB cream that only has light coverage so I'd say it performed well and it really did meet my expectations! In fact, this minimizes the redness better than any light coverage BB creams I've tried before so I'd say it actually went beyond just meeting them. For very light makeup days, I skip concealer and only use this BB cream and some transluscent powder. For days when my skin is acting up, I'll use concealer, this BB cream, and a full-coverage powder. Whatever kind of day it is, it still feels light on the face and my skin doesn't feel like its suffocating despite the intense heat. 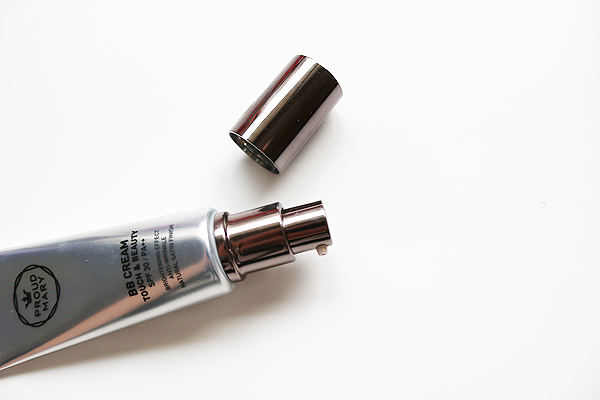 Plus, the dewy finish and its promise of brightening helps keep my skin from looking tired, dull, and dry. 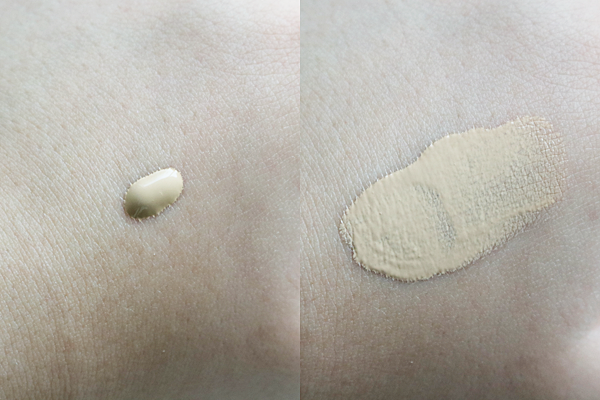 Though the shade is a tad bit lighter than what I'd go for, the slight yellow undertone gives it just enough warmth to make blend into my own skin tone better. 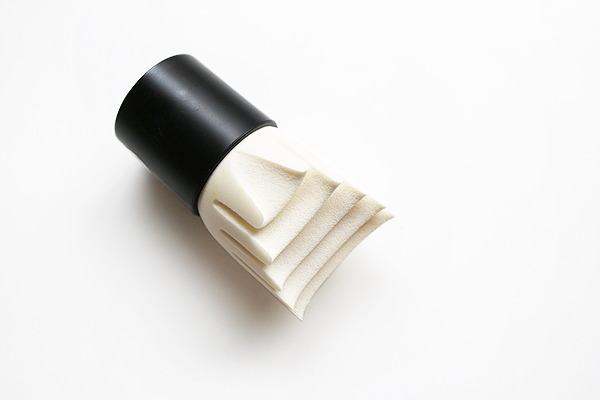 Tulip Blending Sponge makes it easy to reach all the 'nooks and crannies' of the face eg. sides of the nose, under the eyes, etc. Sponge is soft and smooth, can be used wet or dry, and has a handle for possible hygiene concerns. Touch and Beauty BB Cream, available in 2 shades, has light consistency, feel, and coverage. Good for hot and humid or light makeup days. Easy to blend out. 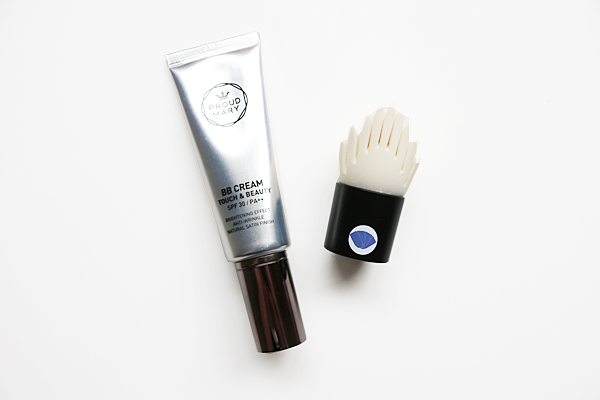 BB cream brightens skin, minimizes minor blemishes and redness, and leaves skin with a dewy finish. Disclaimer: The featured product/s were given or provided to me by the named company or a representative of the company for review purposes. Any opinions given on said product/s are entirely my own and are honest and unbiased. All donations received will go entirely to purchasing new or upgraded (media) equipment to help produce better quality content for this blog. Donations will also be used to regularly improve the blog overall. If you choose to donate any amount, THANK YOU! Your support means the world. You can find my other writing contributions below. Please click the banners to be taken to my author page. Calyxta - Every woman's beauty source and resource. Please do not reproduce or copy any of my posts and pictures without the proper permission. For any inquiries, you can e-mail me at arisinwonderlandblog@gmail.com.